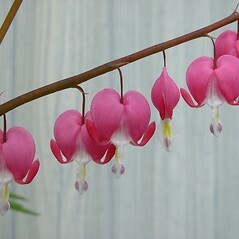 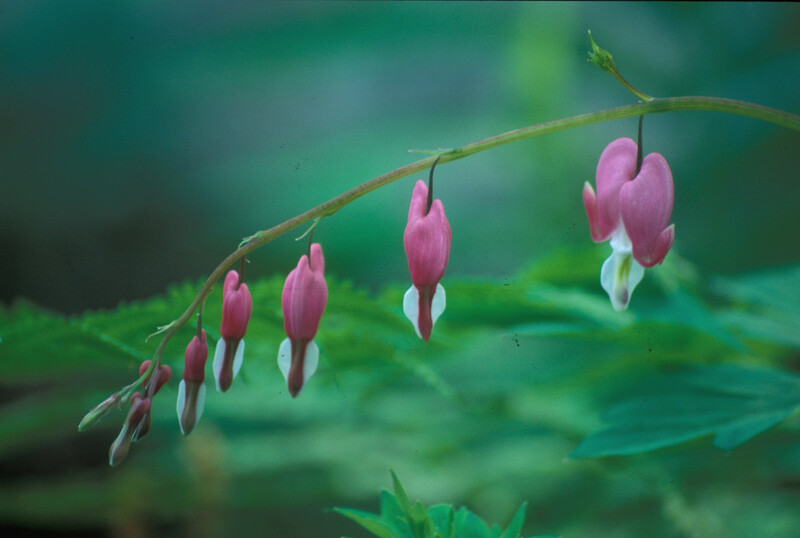 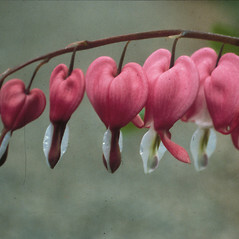 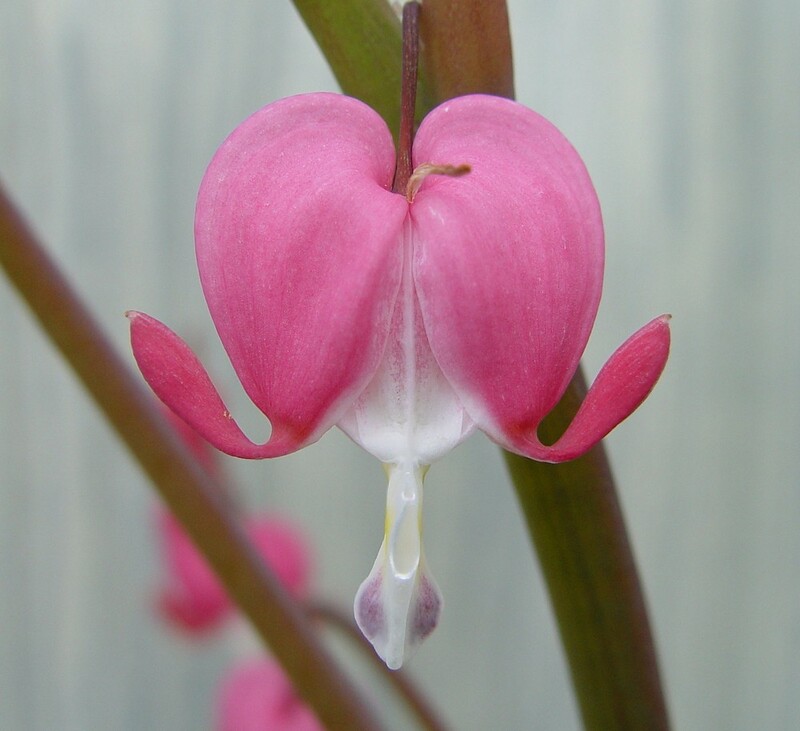 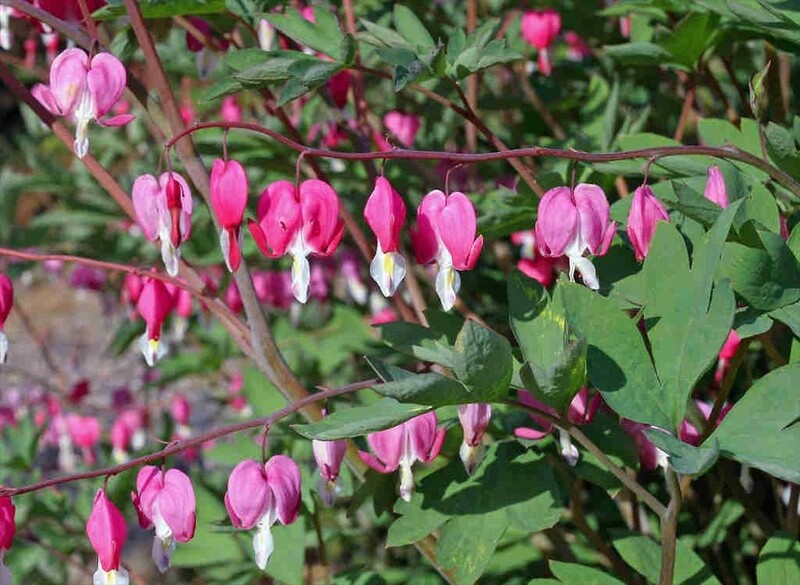 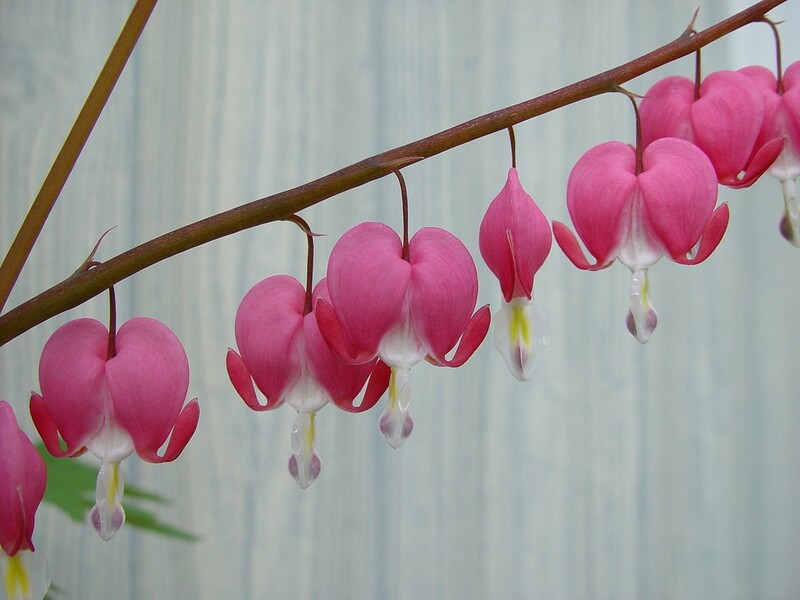 Common bleeding-heart is native to Siberia, China, and northern Japan, and introduced in North America. 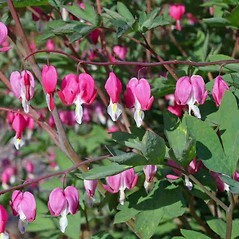 In New England it has been collected in the wild only in Connecticut and Maine, but it is a common mainstay of spring gardens throughout the region. 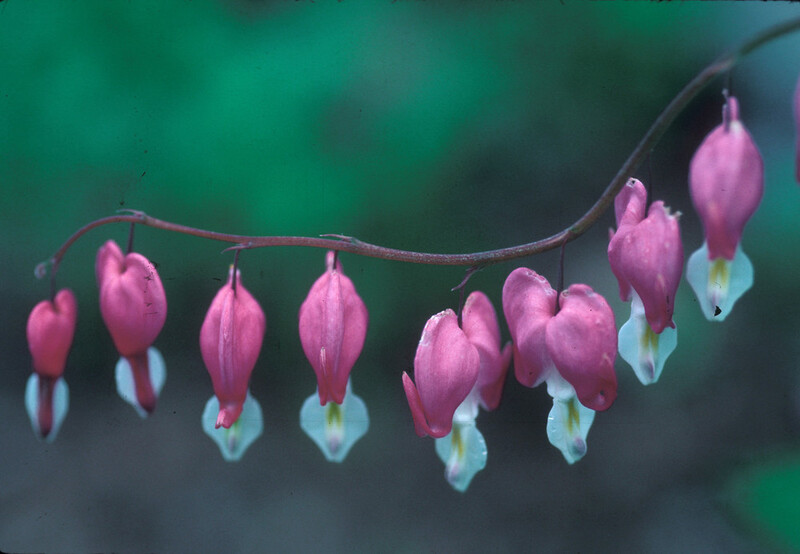 Its common name reflects the heart-like shape and magenta color of its flowers, which bloom in April-May and dangle from the long, arching branches. 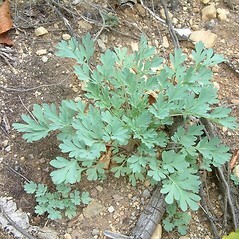 This plant prefers moderate shade and rich, moist soils. 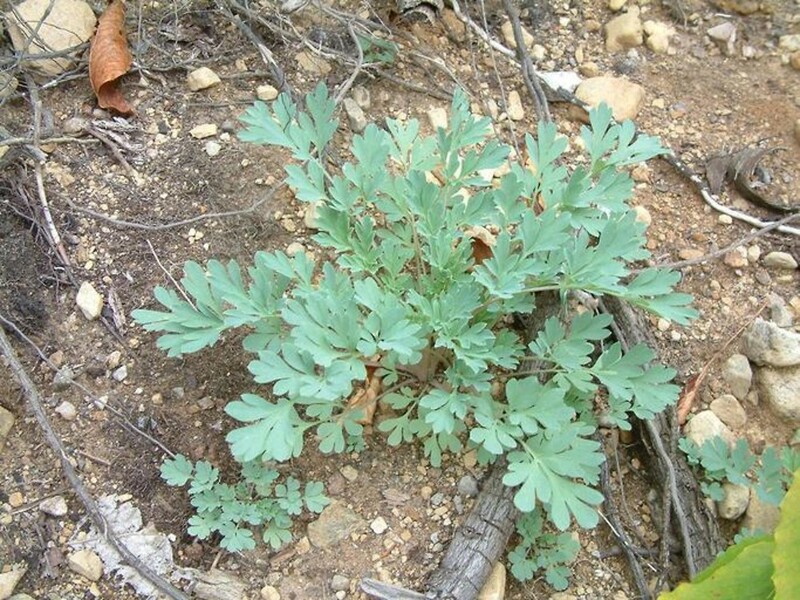 stems scapose and corolla 15-30 mm long (vs. L. spectabilis, with stems leafy and corolla 30-50 mm long). 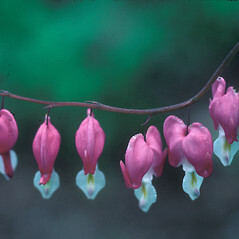 common bleeding-heart. 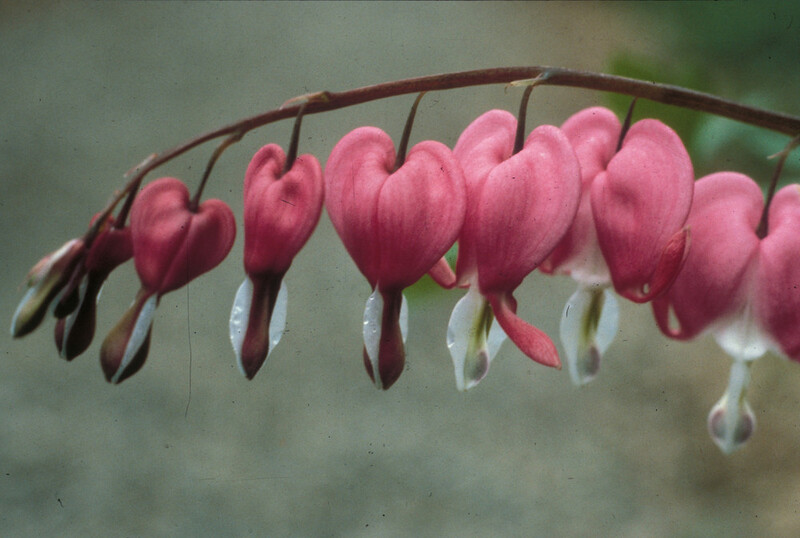 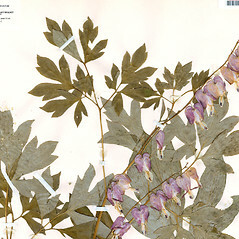 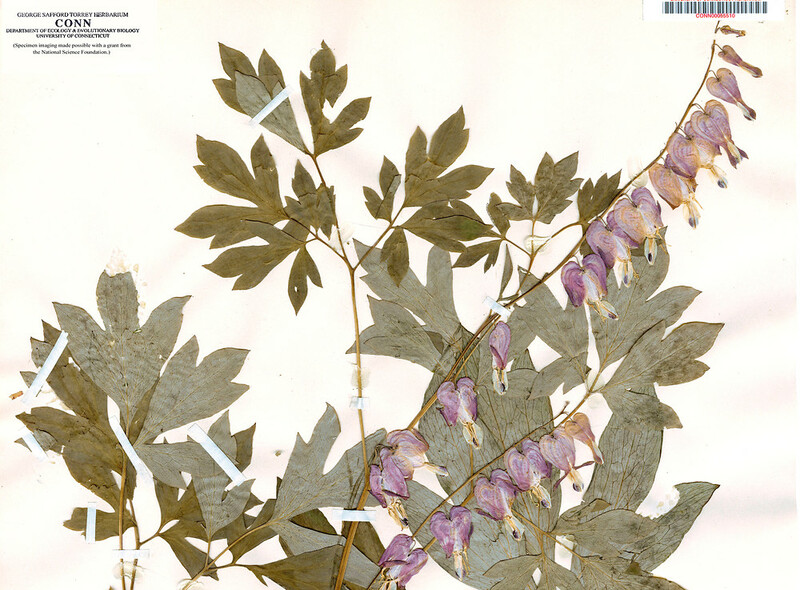 Dicentra spectabilis (L.) Lem. 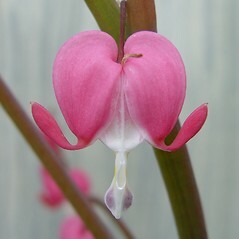 • CT, ME. 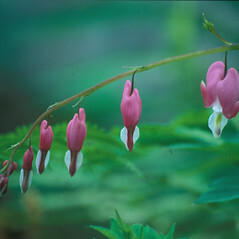 Waste areas, gardens.